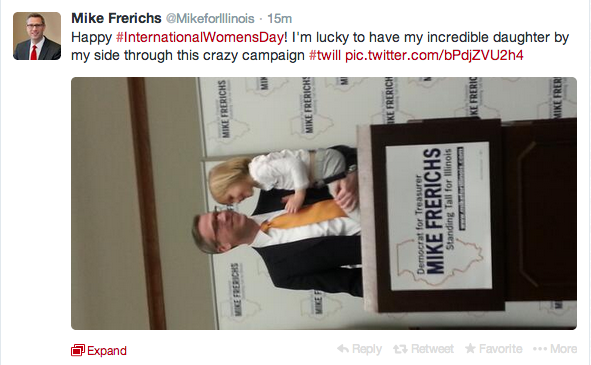 We've already covered how Democrat Toadie Mike Frerichs - who is running for Illinois Treasurer - tried to get in on the #followFriday thing on Twitter, but got it wrong. Now he can't quite get the photo thing right. Way to go, Mike! That whole 'portrait vs. landscape' thing always confuses our mom, too. But...she's not running for statewide political office and is 76 years old. We guess it is tough to get the photo thing right when you're always accidentally cropping your own head out of photos due to your extreme height.